Dr. Vincent worked in health care as chief of nursing at Norton Hospital for several years before completing medical school at the University of Louisville. 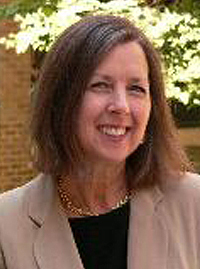 Dr. Vincent received her board certification in psychiatry in 2000. Her clinical practice is in the HCOC psychiatry outpatient clinic with adult patients. Dr. Vincent has worked extensively in our education programs and is responsible for the oversight of all educational programs within the Department of Psychiatry and Behavioral Sciences, including medical student education, residency training, fellowships in psychosomatic medicine and addiction psychiatry. She lectures and precepts medical students and psychiatry residents. She holds leadership roles in local and national professional organizations, and serves as an ABPN Board Examiner. As a member of the school of medicine graduate medical education committee and the continuing health sciences education advisory committee, she is involved in the review of training programs and programs for continued medical education. She is on the Professional Standards Committee and the Medical Staff Peer Review Committee at University of Louisville Hospital. Dr. Vincent became a Distinguished Fellow of the American Psychiatric Association in 2009.